I'm often asked how big is my closet and how do I make room for everything I sew. Well the truth is my closet isn't very big and I give away most of what make because I simply don't have the space. As a result of me giving things away I decided to create a journal page of sorts to chronicle some the pieces I've made over the past couple of years. I used Vintage Vogue Sewing Pattern 7630 to achieve this look. The fabric is a faux suede with very little give. Click to Enlarge Photo. This top created using a McCalls blouse pattern and some fabulous blue Chiffon Fabric. I have a youtube tutorial on how to make this top. See post for details. I used a quick and easy Burda Pattern to create this fabulous halter dress. Check out the original post for all the details. Wrap Blouse & Full Circle Skirt! This look created using Burda 6850 for the top & Butterick 6066 for the pants. The fabric feels like leather but is classified as textured knit. I used a McCalls pattern and some fabulous Ponte Knit fabric to create this look. 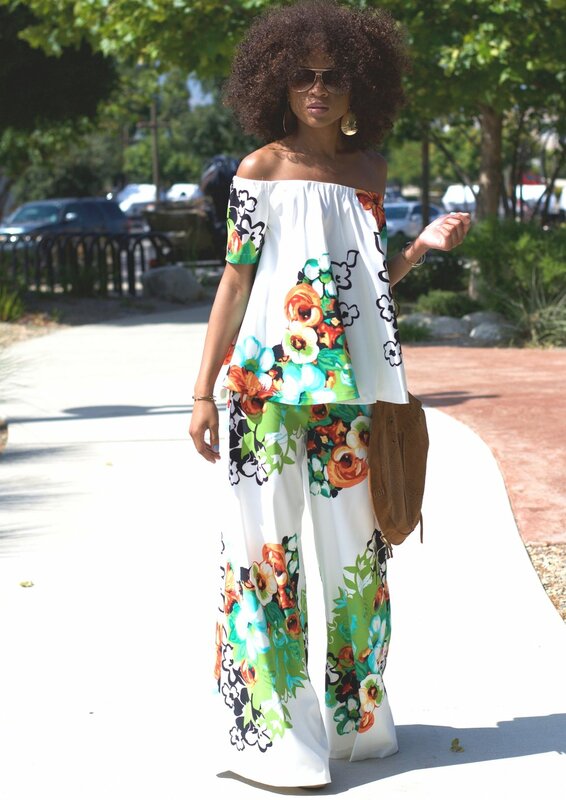 This jumpsuit pattern is a classic and quickly became a McCalls Favorite. Strapless Dress with a TWIST! There was not pattern used to make this little number. I draped it myself and there is a youtube video on how to accomplish this look. Everyone needs a little black dress and this is definitely one of my favorites! You just can't go wrong with this one!